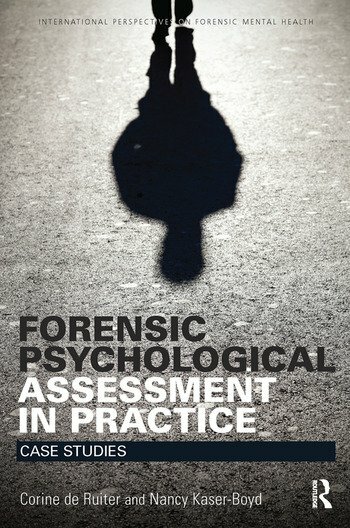 Forensic Psychological Assessment in Practice: Case Studies presents a set of forensic criminal cases as examples of a scientist-practitioner model for forensic psychological assessment. The cases involve a number of forensic issues, such as criminal responsibility, violence risk assessment, treatment planning, and referral to long term forensic care. Likewise, different types of offenses are covered, for example, sexual offending, arson, homicide, robbery and domestic violence. The authors address a variety of mental disorders including psychosis, posttraumatic stress disorder, psychopathy and other personality disorders. The book will be useful for novice and experienced forensic psychologists and psychiatrists who are looking for case studies that integrate the most recent empirical evidence with psychological test findings. Corine de Ruiter is Professor of Forensic Psychology at Maastricht University, The Netherlands. Previously, she worked as Head of the Research Department of the Van der Hoevenkliniek, Forensic Psychiatric Centre in Utrecht, and as endowed Professor of Forensic Psychology at the University of Amsterdam. Nancy Kaser-Boyd is Associate Clinical Professor of Psychiatry and Biobehavioral Sciences at the David Geffen School of Medicine at UCLA, and she is on the Los Angeles County Superior Court Psychiatric Expert Panels in Criminal and Delinquency Court.